Monday 17th November 2014 is World Prematurity Day, a day for talking about around 15 million babies born prematurely worldwide. My daughter is one of them, and while I was aware of premature babies prior to her birth I was most definitely ignorant to how hard it could be for the families of these tiny little miracles. I learnt the hard way, and it could have been harder still, I am very fortunate to live in a country with an amazing health service where babies like my little girl stand a good chance at life. Around 60,000 are born in the UK, and the best charity to follow about this is Bliss, also a wonderful charity to donate to, they have been a fantastic support through some very tough times and do a lot to help families with babies in SCBU, including working with doctors and nurses to make sure care for prem babies and their families is as good as it can be. I am writing my story to share, and I advise you to follow them on @Blisscharity for more stories. If you are a previous visitor to my blog you will probably know the story of my daughter’s birth, and my struggles since. I’ll be writing about her birth and stay in Special Care here briefly, but if you want more detail there are two longer posts (here and here). My daughter was born 10 weeks early. I was barely in to my third trimester, I hadn’t even packed my hospital bag, or done a birth plan. Not that a birth plan would have helped! I’d gone into hospital due to hyperemesis gravidarum, and while there my waters broke. I remember calling one of the nurses over to my bed and saying my waters had gone, she didn’t believe me at first, not surprising really. But there was no doubt once she’d switched the light on. Over the next couple of days they monitored me and the baby, I had contractions at first but they slowly faded away. Which was a relief, but as they died down it was realised that the drop in heart rate of the baby which had been being attributed to the contractions was actually still happening. They didn’t know why her heart rate kept dropping, so the only option was an emergency caesarean. It had been a horrible pregnancy, and at first my thoughts were positive as it meant I would no longer be pregnant and no longer ill with the hyperemesis, but it slowly dawned on me that by being born so early my daughter was at risk. When my waters had broken I’d been given two steroid injections to try and help her lungs develop, as there was a chance that they weren’t developed enough and being born so early could mean they’d collapse. Suddenly it was a very real possibility I could lose her. I felt guilty as sin for wanting her out, but it didn’t stop me wanting her out. The actual birth was pretty dreadful, I had a spinal put in, but it didn’t work. Or at least it half worked, I was numb only in parts, and unfortunately I had full sensation around my abdomen when they went to make the first incision. They ended up performing the caesarean under general anaesthetic, I never saw her born, in fact I didn’t see her again until about 24 hours after she was born. 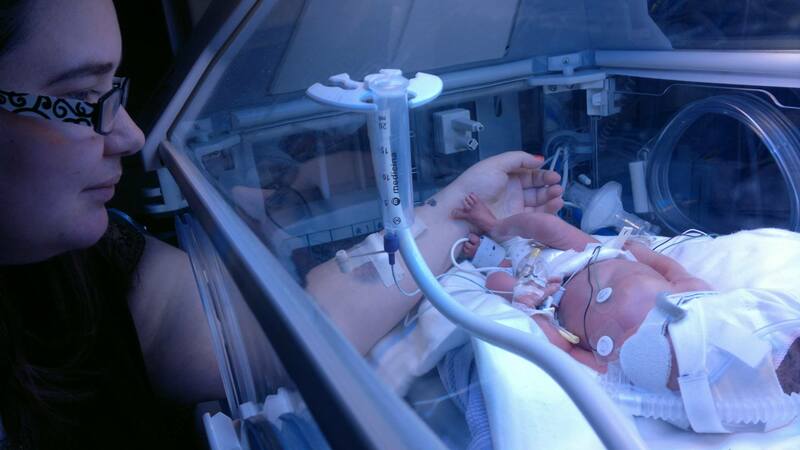 She was rushed straight to the Neonatal Intensive Care Unit, when I finally saw her she was wired up in an incubator under UV lights and had a machine breathing for her, you could barely see her amongst the tubes. She was tiny, just 3lb 1oz. I couldn’t hold her, or see her face, or feed her. She didn’t look like you expect babies to look, she hadn’t got that soft chubbiness, she looked like a weird alien. All scrawny and bony. I didn’t recognise her, couldn’t differentiate her from the baby in the next incubator. I had to rely on external cues and the word of the staff to know which was my baby. When I eventually got to hold her I thought that I’d feel the rush of love I felt when I first held my son, but nothing came. I was curious about this tiny thing who felt like nothing at all in my arms, but not emotionally attached, even a little uncomfortable while she was so encased in the tubing. This disconnect from her continued, even when she came out of NICU. Even when the tubes were removed. Even when I could hold her and feed her. Even when she was moved out of the incubator. Even when she came home 7 weeks after her birth. I had hoped that having her at home would help me bond with her, but I still felt so disconnected. I’d had a birth I couldn’t remember, followed by 7 weeks where I mostly had to defer to someone else when it came to her care. I didn’t feel like her mum, she could have been anyone’s baby. Add to that I already had a toddler who wasn’t even 2 when she came out of hospital, and I had to leave him daily to go and visit her in hospital. I felt torn between my two children, except one didn’t feel like mine. I resented her for keeping me away from her brother. Things didn’t get better though, she was and still is a sickly child. We’ve been back and forth to doctors and paediatricians with her, every day has meant screams and vomiting. Not posseting, but projectile vomiting. And the screams are horrific, like we’re killing her. Most nights she is awake until midnight at least, and with our toddler waking at about 6am every morning we are knackered. It has made it hard to love her. The bond hasn’t built up and she’s hard work. She also needs a lot more attention than a healthy baby, which means having to prioritise her over our son. 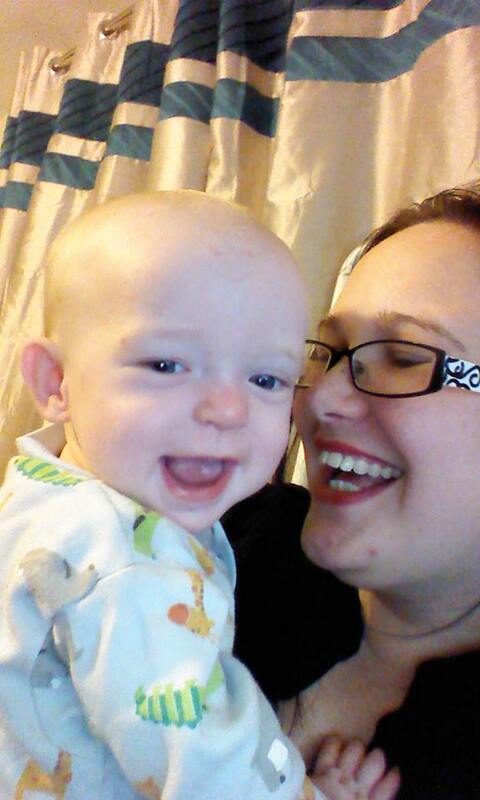 It hasn’t been easy at all, and I am aware that in comparison to many premature babies she is relatively healthy. Getting her to term and out of SCBU has only been a small part of the challenge. There is a glimpse of light at the end of this tunnel though, today was a breakthrough. For the first time in almost 10 months we had a good evening, she was smiling and giggling and playing, without any screaming at all. I felt like her mum yesterday, and I felt a warmth start inside me. I hope this wasn’t a blip, I hope that as we approach her first birthday we can start to put the trauma of her birth behind us and start to enjoy our little girl. To read about this from my husband’s perspective go here.